In the summer of 2006, I hadn’t been feeling good a lot. A pregnancy test revealed my first pregnancy was starting! We went for an ultrasound in the fall. We were so excited. By this time we could already feel the baby kicking. I just wanted to know what I was having so I could start buying outfits, toys, and all that good stuff. We went to have the ultrasound that morning without a care in the world. The tech started doing the ultrasound. She was taking a long time, like she was having trouble. She said she couldn’t find her stomach and I might have to go to a different hospital. I didn’t care; I just wanted to know what it was! The baby had its legs crossed and she couldn’t tell. She finished up and told me to go back downstairs to my OB’s office. My doctor came in the room and was asking if I could get to a downtown hospital right now. Then he asked Steve and me if anyone had mentioned anything about a hernia. We told him no, but he didn’t reply, just told us to get down to the other hospital and he would call ahead. On the twenty minute ride down to the hospital, I wasn’t scared, just disappointed that I still didn’t know what I was having. Steve, I think, seemed uneasy. As we walked into the ultrasound waiting room, we noticed that it was packed! So many people were in there. We walked up to the counter and I signed in. “Oh, the doctor called for you.” was the response I received from the secretary. People all around us were complaining about their long wait. Ten minutes later, my name was called. We followed the technician back to the room. As she prepped me, a doctor walked in. He said “I am not going to talk to you throughout this. When I am done, we will talk.” I replied “That’s fine, while you’re there, do you think you can see what it is, the other lady couldn’t tell.” He did that first, got a straight shot between the legs. “It’s a girl.” I just wanted to scream with excitement. A little girl, my little girl. I started thinking about everything I was going to do with her, what she was going to be, what she was going to play, how she was going to dress. The doctor finished up, the sonogram took what seemed like forever. He started to tell us about how our baby had a Congenital Diaphragmatic Hernia. He went on to say her Diaphragm did not grow correctly somewhere between 7 and 8 weeks and her stomach, liver, intestines and bowel were in her chest cavity, pushing her heart to the right side and not giving her lungs any room to grow. He said she would probably die at birth. I stopped listening. I don’t know where I went, but I wished it wasn’t there. He told us we only had a couple weeks to decide what to do. It was becoming too late to have an abortion, but it was still an option at this point. I just remember thinking, “How dare you say that, not my little girl.” He said if he continued the pregnancy, it would be a long road, but we had to meet with a Genetic Counselor. The doctor left, the technician printed out some pictures and told us she would be back. I cleaned my belly as I wept and got up to go to Steve. We both just cried. The technician came back some time later and took us to go speak to the Genetic Counselor. She rambled on about the diagnosis and routes to go and what to do, but I didn’t listen. I was in a fog, I just wanted to leave. I didn’t want to be there. She kept asking if we had questions. I had none. I didn’t believe what was going on. She gave us her card and we left. Later that night, Steve and I just lay in bed and cried. We knew abortion was not an option. We came this far, and for good or bad, we were having our girl, even if it was for a moment. Neither of us slept that night, he went to work early and I went on the computer. I wanted to know everything I could. I called the counselor the next day, full of questions at this point, ready to hear it all. I told her of our plans and wanted to know how to go about them. She told me of everything that needed to be done and that she would be in the hospital for a long time possibly, once she was born. That day, we started our long, bumpy road. The next couple months were full of doctor appointments. I had an amniocentesis done. We had to rule out all other medical problems. If it was just the hernia she had a better chance at life. The amnio came back normal and reassured us we were having a girl. We spoke with doctors who would be there at the time of her delivery. They told us how the hospital sees this illness at least once a week and they have never had a baby die from it. We had an echocardiogram done to check her heart. Everything looked good. We had ultrasounds done once a week. Every time we went everything looked as good as could be, nothing ever changed much, which was a positive thing. We decided not to have a baby shower. We would have one as soon as she got home from the hospital. We picked out her name. I picked out Shannon and Steve picked out Elizabeth. We didn’t buy anything for Shannon really, her death was always in the back of our minds, but we honestly didn’t see it happening. Shannon continued to put on weight. I always wanted to know how much she weighed when we went for her ultrasounds, it made me feel better. She was constantly kicking me. She moved so much, even the nurses commented on how active she was. Steve would come home everyday and talk to her. She loved hearing his voice, she would go nuts! At night I would lay beside him on my side, and she would go to town on him! I played with her, I would poke and she would kick. We planned as best as we could for her delivery. I was going to be induced. All the doctors would be there. 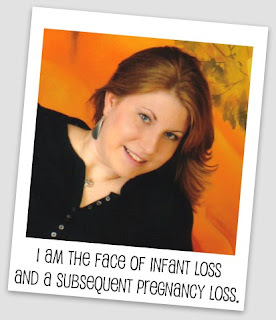 Shannon was gaining weight, had no other problems, chances of her living were better and better. It all seemed to be going good. January 16th, 2007 at 2 o’clock in the morning we got our telephone call to come in. We were there by 3:30 am. We waited as other mother’s in labor passed in front of us, never a doubt in our minds. At 5:30 they started me on Pitocin. At 5:45 I was having contractions. By 8:30 I had asked for an Epidural. They broke my water around 9:00 and assured me this was going to take at least 8 to 12 hours. I relaxed for about an hour. I told the nurse I thought the epidural was wearing off because I could feel pain. She told me to flip over and it might help. I could still feel pain and she told me there was no way I was dilated. She checked me; I think just to shut me up. I was fully dilated by about 10:00. She ran around the room getting everything ready and making phone calls. All of the doctors arrived and by 10:27 Shannon Elizabeth was born. My doctor laid her on my belly and she was quickly taken away. I tried to watch as the intubated her, but it was hard. They rolled her away to the NICU downstairs. About two hours later, they told Steve to go ahead down to see her before she went to the Children’s Hospital. He went down and took some pictures and video for me. Shannon weighed 7 pounds 8 oz. They told Steve how the first 24 hours is what they call the “Honeymoon”, everything seems okay on the outside but shortly after, it falls apart. At 7:45 the next morning a NICU doctor called, someone needed to get over to Children’s as soon as possible. Steve got dressed, didn’t even eat and walked to Children’s. I called my parents and told them I thought something might be wrong, but I wasn’t sure, and I needed a ride to Children’s. They were going to let me go to Children’s on a sort of hall pass, but I had to be back that night by a certain time. I slowly ate and got a shower and dressed. The time passed, I still wasn’t that worried, maybe just in denial. Around 9:00 I called for Steve at the NICU, I hadn’t heard from him. They told me he had been in a meeting with the doctors but that they would give him a message. He called back not long after that. He told me I needed to get over to Children’s. I asked why, he just kept repeating for me to get there. His voice was calm and quiet. I knew something was wrong. I just kept asking why, getting louder and louder. All I heard was “She only has a one percent chance to live . . .” I stopped listening again. I just cried. I never cried so hard before. When I got to the hospital, they started to tell me about how she had a heart defect also, something called Hypoplastic Left Heart Syndrome. A big word just to describe that the left part of her heart didn’t grow and that her aorta was narrowed. They were giving her medicine to keep her PDA, an extra valve in the heart every baby has but closes shortly after birth, open. We could have done aggressive medical intervention, but the doctor told us there was pretty much no hope. No one had ever seen a baby with this combination survive. So the only thing to do was waiting until we were ready to stop her life support. Steve and I sat there all day. We slept at the hospital and got up early to be at her side. We stayed with her as late we physically could, just to be up and do it again the next day. While by her side, I would put chapstick on her lips (which were exactly like mine) and put a water swab in her mouth so her tongue wouldn’t be so dry. I even changed her diaper a couple times. A sister came in and she was baptized. The nurses stayed with us. They described everything to us and even shared their own experiences. January 19th, we made the decision to stop her life support at some point that day when we were ready. First, I gave her a bath. I combed her full head of hair. I changed her diaper. I put lotion all over the left side of her body, and Steve put it on the right. Her nurse bought her an outfit that said “Angel Bebe”, it even had angel wings attached to the back of it. We took about a million foot prints from her. The nurse insisted on having the perfect pair. We stopped her medicines about 8 or 9 that night and held her while she was still on her vent. We put a ring around her finger. It was a small ring, but still too big for her fingers so we had to use tape. An angel baby’s parents had supplied the hospital with rings for situations like ours. She kept opening up her eyes, the first we’d seen them. Almost like she knew we were there and she was off all of that medicine. Like she was happy. She had blue eyes just like Steve and I. I talked to her for the first time. I told her that she could go and that I would be okay. I told her she had to promise me that every baby she sends down for me has to have a part of her, but that the next baby had to have her nose. She had such a cute nose. I went into a waiting room and Steve stayed with her as the nurse removed her tubes. He told me how she held his hand so tight. He brought her into me, still alive. I held her so close and cried. The doctor came in to check her. She held on for about twenty minutes. She was pronounced dead at 11:15. After she passed, I just held her and sang to her. I took her back to her bed, so proud that I was holding her. Steve cut some of her hair and we took her picture all laid out. I put her cross necklace on her and took off her ring and Steve put it on my necklace. My brother in law is a Funeral Director and his boss came and picked Shannon up. Michael kept her company the next couple days as we went out and bought her a beautiful dress and blanket to be buried in. I worked on a collage for her viewing with all the pictures from the hospital. While she was at the funeral home they even got her handprints for us. She looked perfect. She had no makeup on and had such rosy cheeks. I was so proud as I stood next to her for that day, so proud to show off my beautiful angel. The weeks grew together, as I will still in my raw grief stage. I obsessed about having another baby but wanted to wait 6 months before trying again. On August 3rd, I found out I was pregnant again, due April 10th, 2008. We were so excited!! I ran out to the store and started buying. I knew that if something would happen, I would want mementos, like I had for Shannon. I spoke with doctors. They assured us that we only had a 2 to 5 percent chance of Shannon’s genetic disorders happening again. I tried to have a healthy pregnancy. We had been planning on this one. I lost weight from Shannon; I stayed away from anything that had ever been tied into miscarriage. My belly started to grow. The pregnancy seemed to be going so good. Steve and I talked about names. If we had another girl, he wanted Shelbe as a middle name. SH for Shannon and ELBE for Elizabeth. We planned on another girl; Steve says that’s all he makes! I marked the calendar for a baby shower. I made Shannon a sign for her grave, it said “I’m gonna be a BIG SISTER!”.I thought I would have a baby, a baby to keep, to watch grow, to bath, to touch, to kiss, and to love. I wanted to die long before this baby ever did. On September 23rd, the day started off fine. I did a little shopping, the Steelers won the game, and I came downstairs to work on Shannon’s webpage. I didn’t get very far. I had noticed a little spotting when I went to the bathroom. I was devastated. I wanted to go the hospital as soon as I could. We went for an ultrasound at the hospital. The nurse asked me how far along I was. I noticed the baby seemed small. I told her I was ending my 12th week. She said the baby only looked 8. She tried to find a heartbeat, but could not. She estimated the baby stopped growing at 8 weeks. I cried. I had so much planned already for this baby. I told Steve as we cried, we will say it is a girl, and we will call her Shelbe. One thing I knew for sure was that this baby had Shannon’s nose because that was one of my conditions for Shannon before she left. I now have two beautiful angels forever watching over me and my family. My baby had a PDA related issue which ultimately took him away. He was born at 30 weeks and lived for eleven days. Almost 4 months (of hell) now. he was my only baby after TTC for an year. thanks for sharing your story. Love to both your babies.